We manufacture and supply superior quality natural food colors that are used for applications in foodstuffs, ice-creams, dairy products, confectionery, sweetmeats, soft drinks, beverages, pet food, pharmaceuticals, cosmetics and lubricants. Made of natural ingredients, our natural food colors are produced under extreme hygienic conditions and are available at most competitive prices. Natural Food Color is any dye, pigment or any other substance obtained from vegetable, animal, mineral, or source capable of coloring food drug, cosmetic or any part of human body, colors come from variety of sources such as seeds, fruits, vegetables, algae & insect. We are supplier of Caramel Colour. Caramel colors are among the most widely used food ingrediants, which work as an emulsifying agent as well as a colorant. They are one of the most versatile and stable colors. The unique properties of this color make it a preffered choice in many of today's food products. Our years of experience in this industry has made us capable to guide our clients in selecting the correct caramel color for their formulation. Caramel Colour is the most versatile Colour in terms of application and hence is one of the most widely consumed food Colouring ingredients in the world. It is produced by heating food grade carbohydrates like Corn Starch or Sugar in a controlled environment and in presence of alkalis. The Colour is naturally stable in application conditions like acidity, direct light and high temperature. We are supplier and exporter of Annatto colour. Annatto is a natural orange red oil-soluble color extracted from pericarp of seed of Bixa orellana tree. The major coloring pigment in it in the Diapocarotenoid bixin. Two types of commercial Annatto extract of different shades are available: an oil soluble extract containing bixin, and a water soluble extract containing norbixin as major pigment. It is used in food industry for coloring beverages, bakery Products, dairy products, especially like cheese and butter. It is also used in pharmaceuticals and cosmetic Industries. We are supplier and exporter of Red Beet Root Color. Red Beet Root Colour is obtained from Beet Juice extracted from the roots of the vegetable called Beta Vulgaris and is pure natural food colour. The pigment present in the beetroot is known as betalains which is further classified in Red Betacyanin which gives the red colour. Beet Root Red gives a bright red to bluish red colour depending on the application and pH. Beet Root Colour is sensitive to heat and prolonged heating above 90o Celsius will result in degradation of colour. 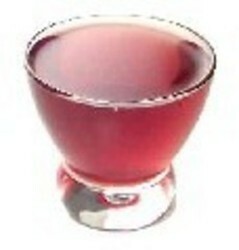 We are supplier and exporter of Anthocyanin Color, which has been extracted from plants. 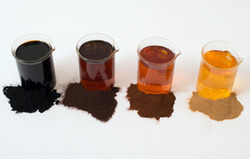 The offered pigment is used for coloring of food and drinks in the ford processing industry. It is pure in composition, pure natural food colour and free from artificial colorants. Anthocyanins are water-soluble compounds responsible for red to blue colour of a wide range of Fruits and Vegetables. However largely Grapes, Berries and Black Carrots are used to derive the colour.Anthocyanin colour is considered to be very versatile and easy to use. we are suppliers and exporters of Curcumin Colour . Curcumin colors are natural food colours & purely processed by making use of superior grade ingredients. Highly economical in cost, our range of curcumin colour is extensively used to add yellow color to the canned food, bakery products, pickles and soups. Application : Soups, Pickles, Canned Food, Bakery Products, Wrapped Confectionery, etc. We are supplier and exporter of Safflower Yellow Color, which has earned us a huge clientele. 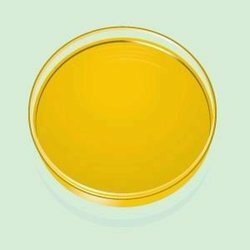 This offered safflower yellow color has been made from safflower plant and is used as a coloring agent in the food processing industry. Safflower Yellow Colour is natural food colour which is free from contaminants and has a long shelf life. We are supplier and exporter of Chlorophyll Color. 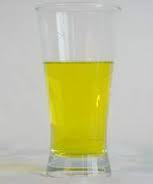 The offered colorant is unparalleled in quality and has been made under strict parameters of hygiene. 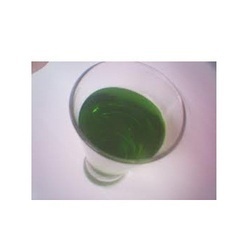 Chlorophyll Color is used for coloring of food items and imparts green color. Chlorophyll is a natural green colour which is found in form of Copper chlorophylls is obtained by addition of a salt of copper to the substance obtained by solvent extraction of strains of edible plant material, grass, Lucerne, and nettle, followed by its alkaline hydrolysis. Widely used in Sugar Confectioneries, Mint based products, sauces, pickles, jams and dry mixes. Has applications in pharmaceuticals and cosmetic industry as well. We are supplier and exporter of Chlorophyll Colour. The offered colorant is unparalleled in quality and has been made under strict parameters of hygiene. Chlorophyll Color (Liquid Chlorophyll Colour) is a natural food colour and is used for coloring of food items and imparts green color.